We have recently started a collaboration with Gear Best to bring you some amazing deals and promotional offers that you won’t get anywhere else. One of these deals is the Finow X5 Smartphone Watch that is a completely unique device in its class. Unlike most smart gear, the Finow X5 can function independently of your smartphone since it can take its own sim card which puts it into a specialized category. Since the X5 can take its own micro-sim, it can also independently make and receive phone calls without the need of your smartphone. By having its own sim card, the X5 can independently make and receive phone calls and that only scratches the surface of its features. Other features include having a phonebook, call log, messages and music synchronization all from your wrist. Interestingly enough, the X5 also functions has an accurate heart rate monitor as well as a functional pedometer to track your health and fitness. Be sure to check out the intro video below. When connected to the net, the X5 also displays your area’s weather info and barometric pressure and, as a few extras, it also features a sound recorder, music player, calendar, browser and an alarm clock. With the features out of the way, we can focus on the technical aspects of the X5. 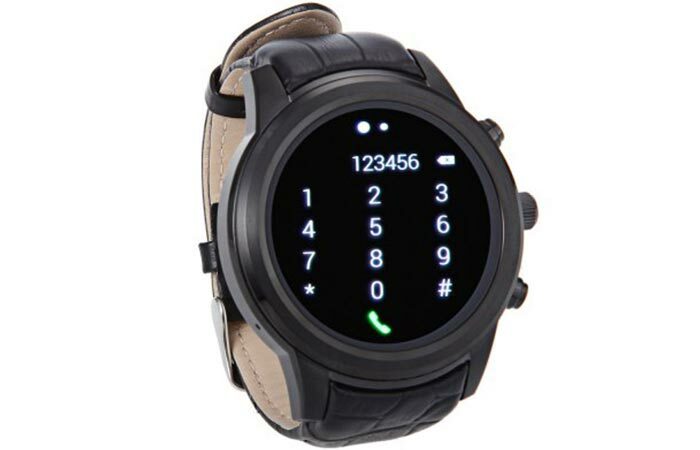 The dial itself is a 1.4” AMOLED touchscreen with a 400 x 400-pixel resolution that is powered by a dual core 1.2GHz MTK6572 processor. 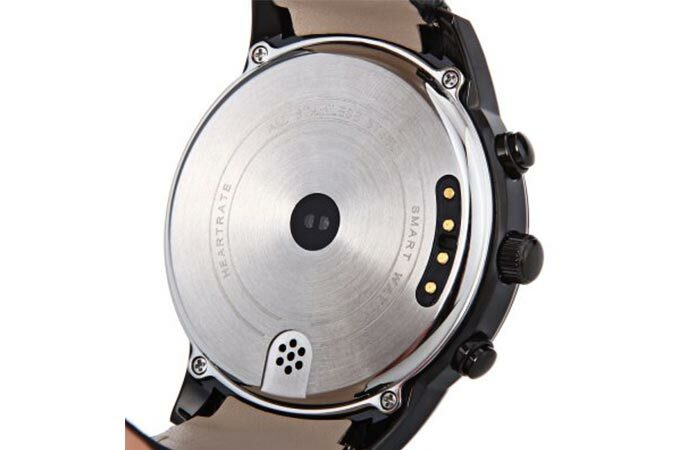 The back of the watch features a microphone and speaker for crystal clear calls as well as a fully functioning heart rate sensor to track your fitness. Astoundingly, the X5 also comes with a Mali-400MP graphics processor and runs on Android 4.4 firmware. It also has a 512MB of RAM and 4 GB of on-board memory, which essentially makes it a powerful device for its size. To top it all off, the X5 is functional on 2G and 3G networks and also supports Bluetooth and WiFi and has been unlocked for international use. It is currently on a promotional offer with a 61% discount should you jump now and get yours!